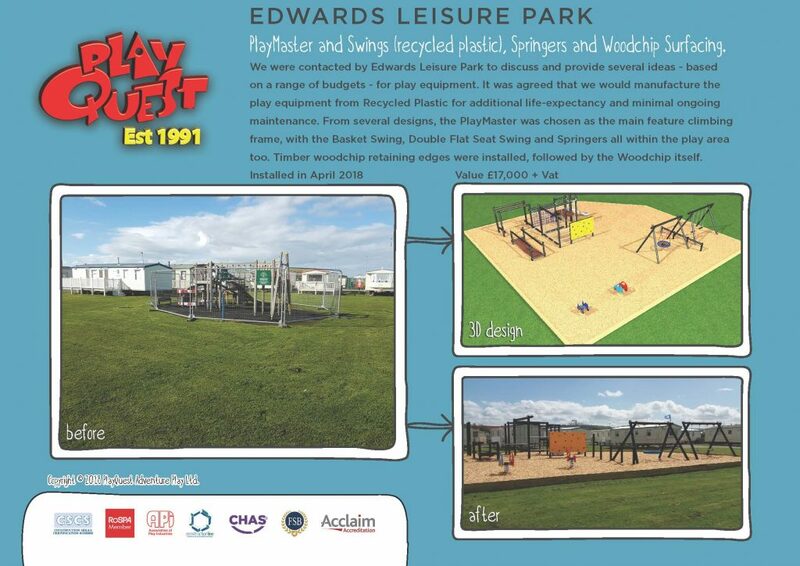 We were contacted by Edwards Leisure Park to discuss and provide several ideas – based on a range of budgets – for play equipment. It was agreed that we would manufacture the play equipment from Recycled Plastic for additional life-expectancy and minimal ongoing maintenance. From several designs, the PlayMaster was chosen as the main feature climbing frame, with the Basket Swing, Double Flat Seat Swing and Springers all within the play area too. Timber woodchip retaining edges were installed, followed by the Woodchip itself.